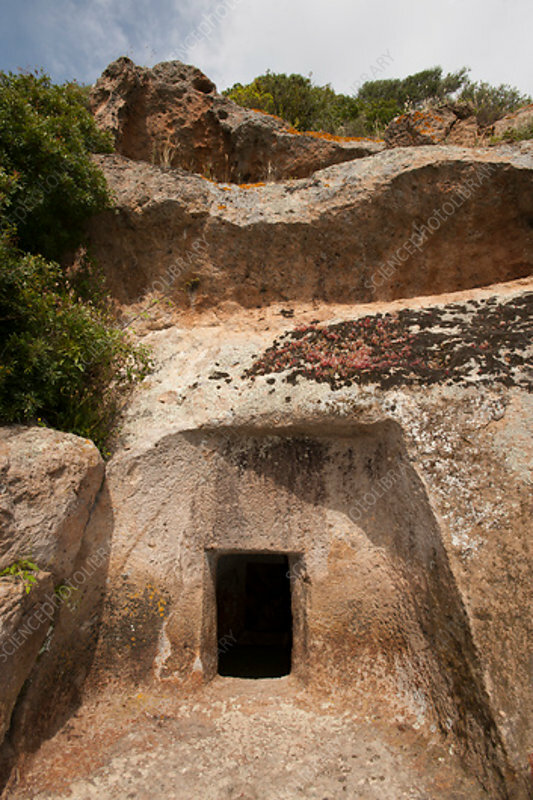 Chamber tomb, Necropolis of Montessu, Sardinia. This necropolis complex is located near Villaperuccio on the Italian Mediterranean island of Sardinia. It includes a number of chamber tombs (Domus de Janas) from the Pre-Nuragic period (3400-1600 BC).